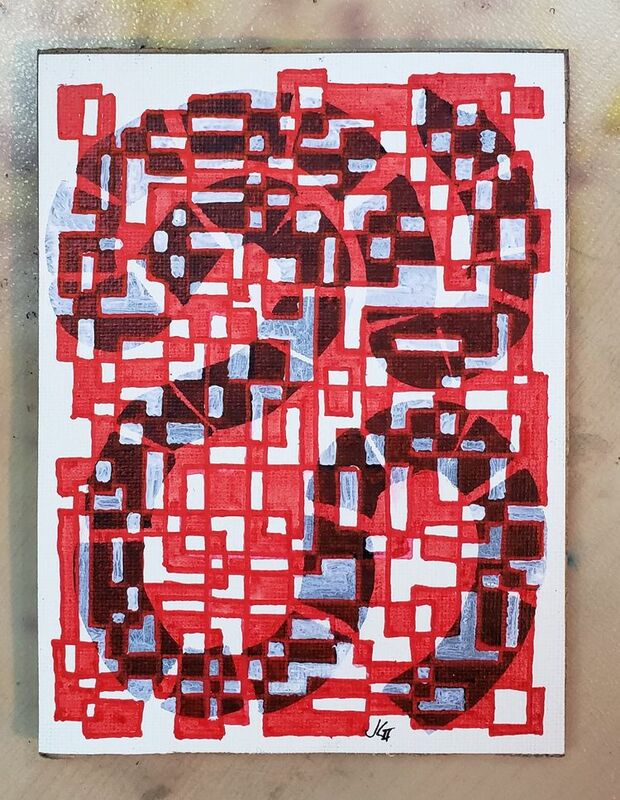 "won&apos;t compile under gcc 8" Marker and industrial marking crayon on index cardstock. 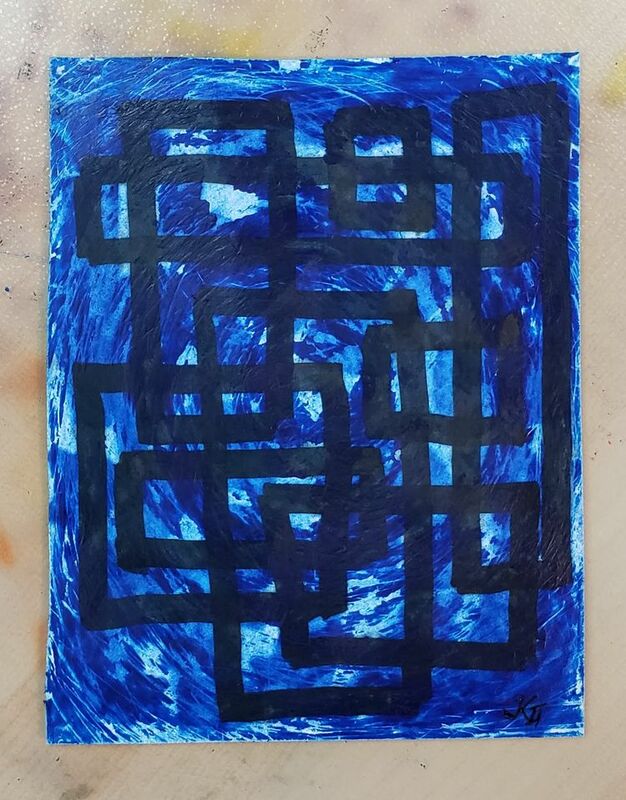 11x14cm. 2019-02-16. 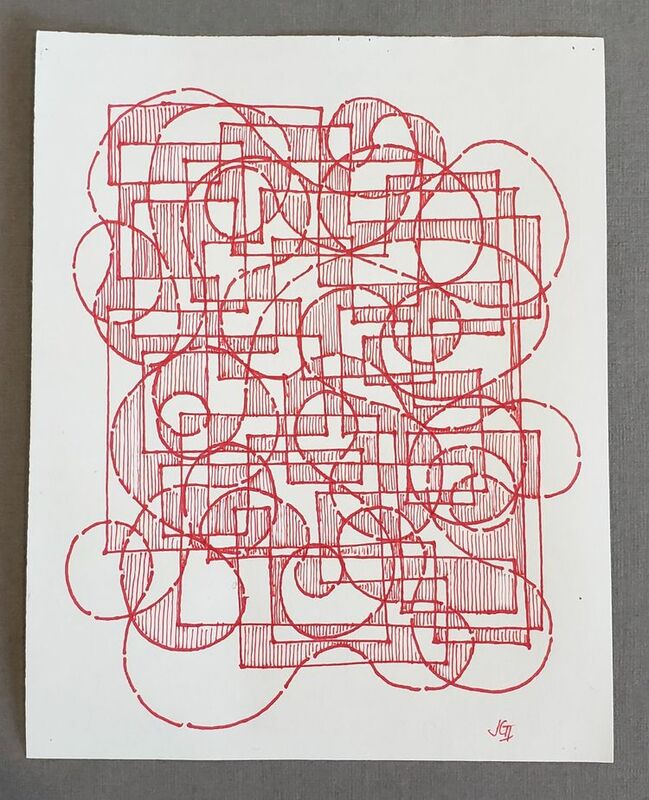 "matplotlib" Ink on copy paper. 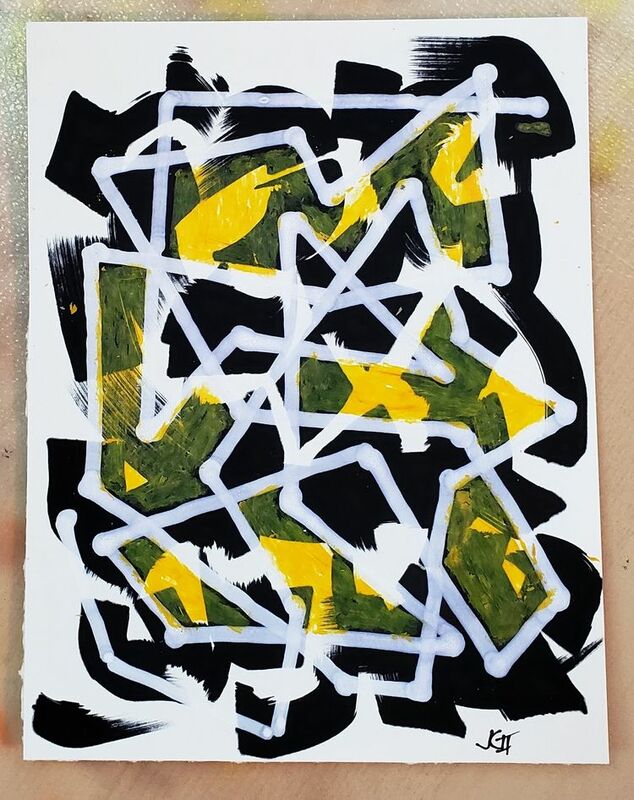 11x14cm. 2019-02-13. "martes y domingos, de 10 a.m. a mediodía" Marker and ink on matte photo paper. 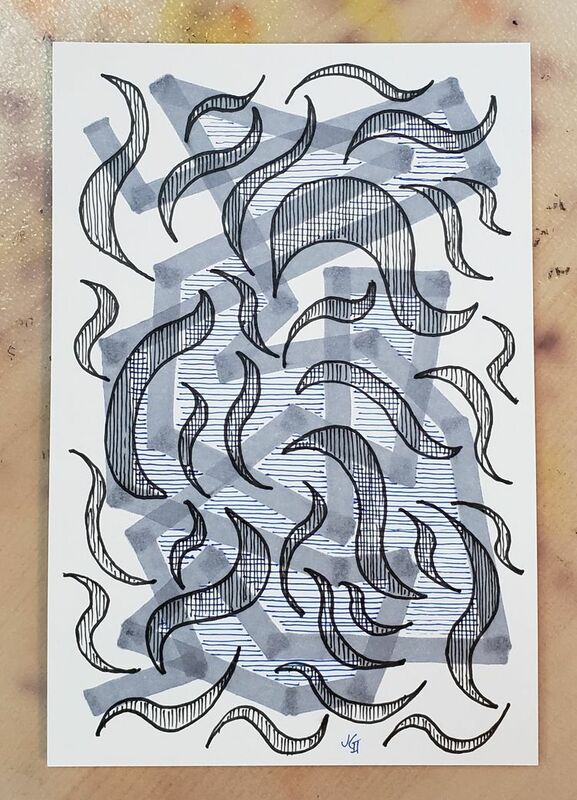 10.2x15.2cm. 2019-02-09. 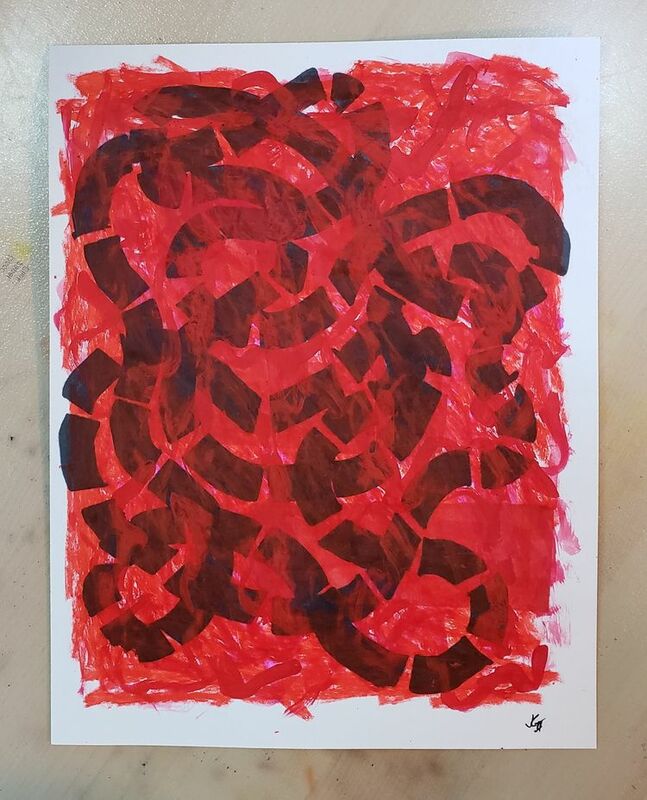 "No Red Vinyl" Marker, acrylic, and industrial marking crayon on semi-transparent marker paper. 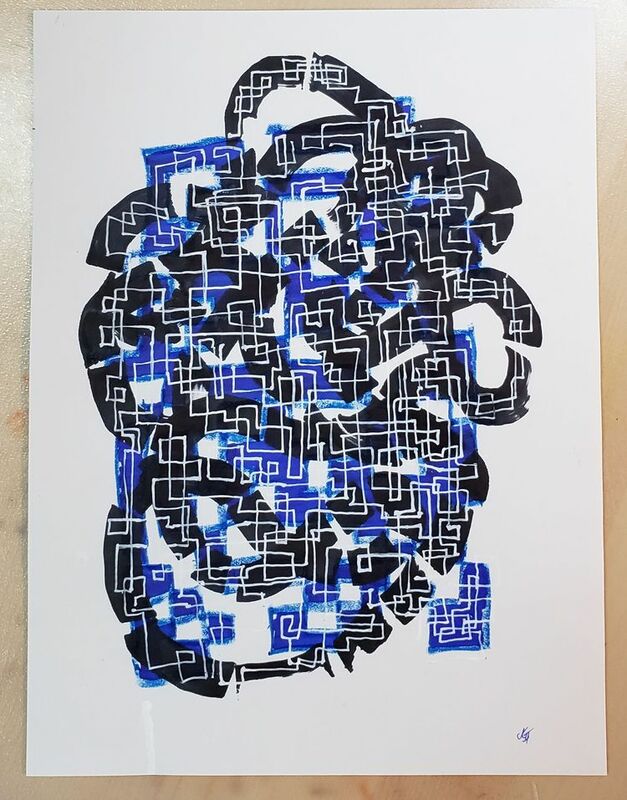 22.9x31cm. 2019-02-09.